Tom Balhoff is a native of Michigan, and grew up in Baton Rouge, Louisiana, earning a B.S. in Chemical Engineering from Louisiana State University and a J.D. from Georgetown University Law Center. 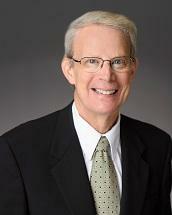 The focus of his practice for 41 years has been general civil litigation. From the 1970s through the mid-1990s he engaged in a traditional insurance defense practice and insurance coverage disputes. His primary focus of practice since the mid-1990s has been the representation of several industrial contractors who operate in the areas of construction, maintenance, heavy equipment, and related services associated with refineries, petrochemical plants and the production of oil. This has included defending numerous cases filed against the contractors and/or in some cases their clients (pursuant to defense and indemnity agreements) against all types of personal injuries, including those asserting claims from toxic chemical exposures to asbestos, acrylonitrile, ammonia, benzene, ethylene dichloride, hydrofluoric acid, mustard agents, NORM, pthalic anhydride, and vinyl chloride. The representation has included advice on indemnity/insurance issues. He has represented the Louisiana Department of Natural Resources, Office of Conservation, in oilfield legacy matters since 2008, and beginning in 2013 has been appointed by the Commissioner of Conservation on a number of occasions to serve as hearing officer in legacy and/or oilfield contamination cases requiring public hearing under Act 312. He has been recognized in the "Best Lawyers in America" (published by U.S. News & World Report) for Insurance, Mass Tort and Class Actions, and carries a Martindale-Hubbell Peer Review Rating of AV (Preeminent) (peer rating 5.0 out of 5.0).